Utah advances to the second round with a 104-91 win in Game 7. 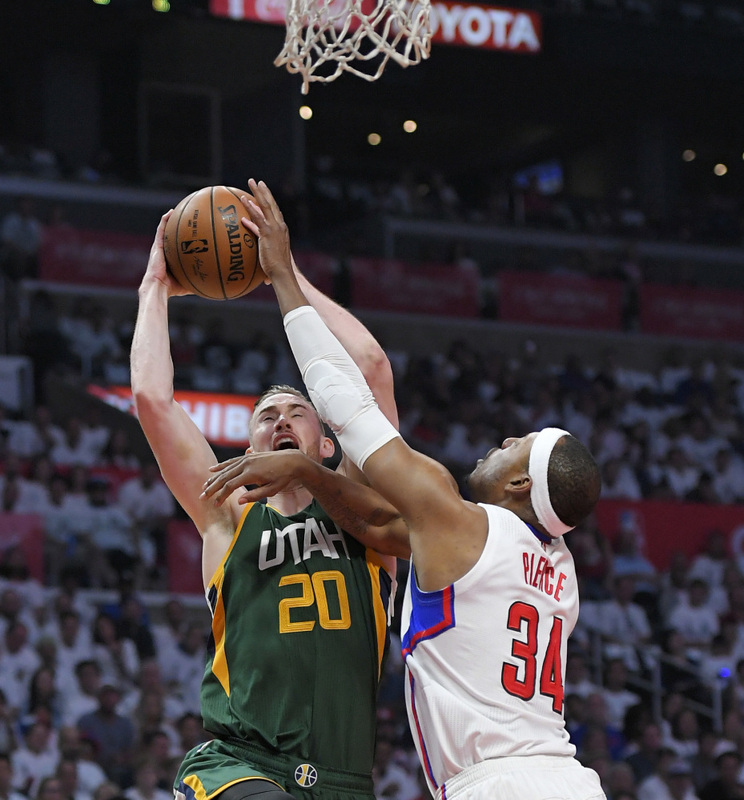 LOS ANGELES — Gordon Hayward scored 26 points and the Utah Jazz easily eliminated the Los Angeles Clippers on Sunday with a 104-91 victory, winning the first-round playoff series 4-3. 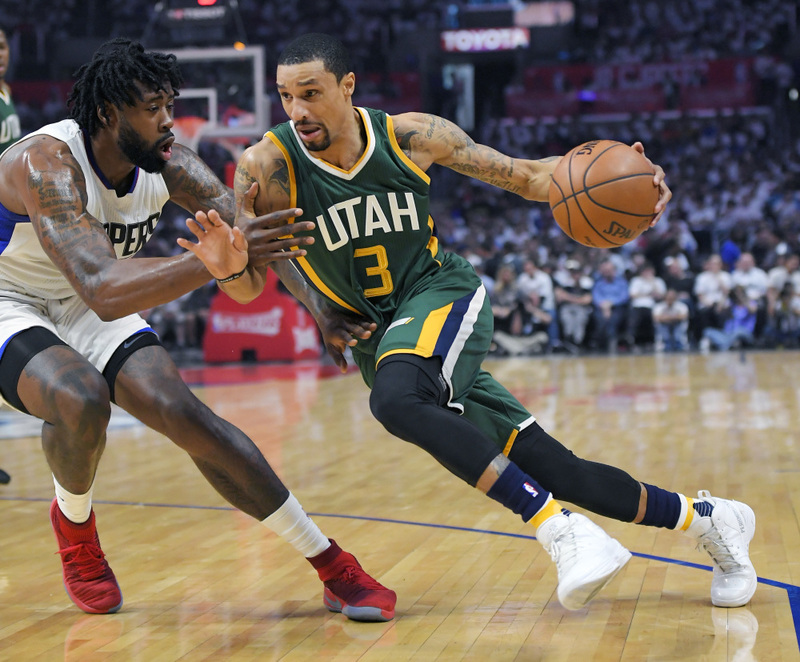 George Hill and Derrick Favors added 17 points apiece in Utah’s first postseason victory since 2010. The Jazz advanced to face top-seeded Golden State in the Western Conference semifinals. The Warriors swept Portland 4-0 and have been waiting since Wednesday to find out their next opponent. Game 1 is Tuesday in Oakland. The Clippers’ DeAndre Jordan had 24 points and 17 rebounds for his seventh double-double of the series. Jamal Crawford added 20 points off the bench. Chris Paul had 13 points for the Clippers, who were sent packing in the first round for the second straight year. Last season, they lost to Portland after Paul and Blake Griffin went down with injuries. This time, they didn’t have Griffin again after he was lost in Game 3 with a big-toe injury. In the most closely contested series of the first round – and the only to go seven games – the Clippers came up strangely flat with their season on the line. J.J. Redick didn’t hit his first 3-pointer until the game’s final 31/2 minutes, drawing the Clippers within eight. Paul couldn’t muster any of his fourth-quarter magic, either. He went scoreless with three assists in the period. By then, the Jazz were well in command, ahead by 17 points and hardly feeling pressured by foul trouble for Rudy Gobert and Favors, who both fouled out. Gobert finished with one point in 14 minutes. Favors had 11 rebounds off the bench. The first six games between the fourth-seeded Clippers and No. 5 Utah were decided by eight points or less. Los Angeles outscored Utah 98.8 points to 98.0 points. The teams had identical 51-31 records in the regular season. But this one was all Utah in the second half. 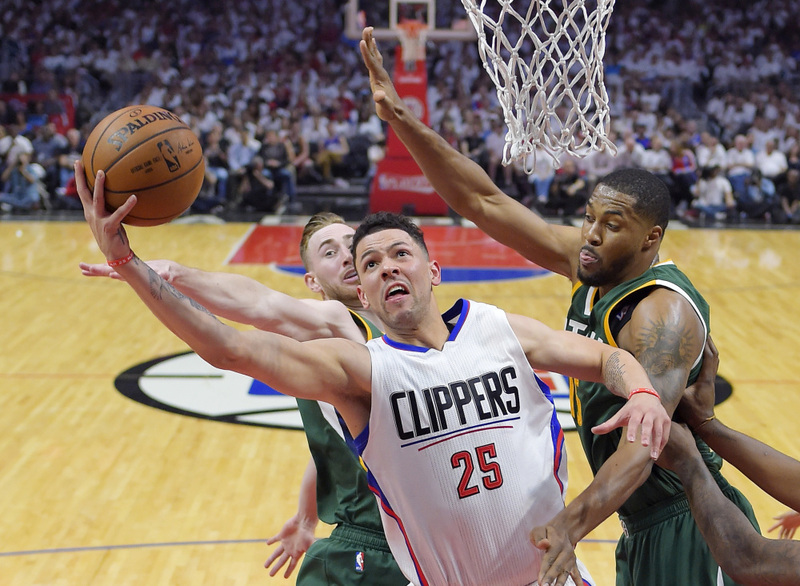 The Jazz opened the third on a 23-9 run, extending their lead to 69-48 – largest in the series. Boris Diaw had eight points, Hayward added six and Hill four as the Jazz had three three-point plays.